Here we go.. the first guest post of the year on Cumi & Ciki. 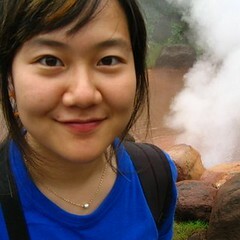 She is Juno from Seoul, Korea and she will share her travel tip on street food in Korea. Eating is really important factor in many countries. Korea is definitely one of them. In the big holiday season everyone in Korea makes tons of foods for neighbors, friends and family. Having a big meal is really important to us Koreans. Every season we eat differently, everyone has specific memories about food they eat while growing up. Even if those were junk food, we still love ’em! There are lots of stories about food and we do have great foods. 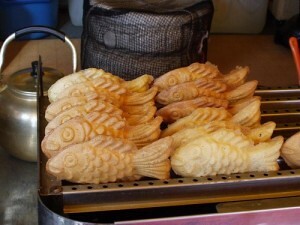 Now I would like to introduce some of the great street snacks you can find in Seoul. 1. Dak-ggo-chi: Chicken on a stick. Ho-teok, check out the spatula! These food travel tips are literally everywhere in Seoul. If you want some recommendations, I would say go to Jong-ro and Shin-chon, and check out the towns which have got a university. These are the best for food. There are so many more delicious foods out there. Try it when you visit Seoul. Jiyeon Juno Kim or affectionately knows as JUNO, is an avid traveler and writes a travel blog entitled “Runaway Juno” describing her love for traveling, food and seeing the world. Her favourite quotation that pretty much sums up her life’s motto – “Travel is not New. People have never been happy to stay in one place .. – on the wall of Chch, NZ Museum. ” Juno is based in Seoul, Korea. those lil fishies look so cute. hi juno, when you visiting malaysia? Helo Juno!! 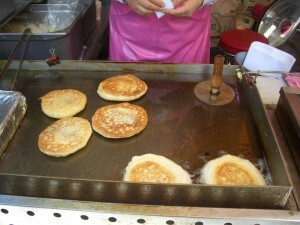 The ho-teok does look like some roti canai… Hmm… nice! hey eiling! i don’t know what that is.. but im guessing a delicious treat! The smiling fish buns look (almost) too cute to be eaten! Ho teok with brown sugar filling? So it’s consider a dessert cause it taste sweet.. ? yes you might say. 🙂 really delicious treat! wow, this cumi and ciki expanding to international waters..
been wanting to visit seoul again from the time my friend started national service till he finished..
have you been Seoul before? yes come visit! Time to visit then! Last time I went I wasn’t blogging seriously yet. it’s a shame otherwise I would have paid attention and taken better photos! 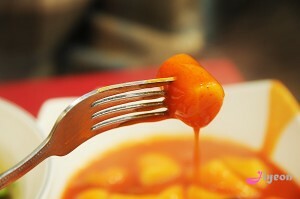 As one of the tummies is Korean, this post will make him extremely homesick! wow glad you loved Seoul! 🙂 are you in Korea right now? did you? how was it? Great to know that there’s some affordable food in Korea too. So tempting.. I thought it would be really expensive to eat there. not really- it’s actually cheaper than say, Japan? taufulou .. how nice of u hor.. ru going to lend her ur place to sleep in?! I can be your couch potato! haha tanks for the offer @taufulou. Ooh! Korean food! 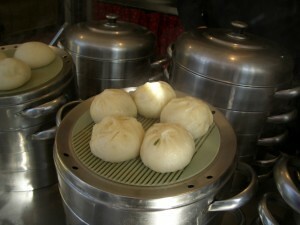 More specifically, Korean food that isn’t just kimchi or ginseng chicken soup, hehe. The bung-u-bbang looks like a Japanese snack I had in Macau though… Any relation? hehe.. i gotta ask Juno.. i think she’s sleeping in her bed. in her country.